The degree course is framed within the rich heritage of educational, scientific and training experiences developed by the University of Padova. Teachings are organised into five areas of knowledge: political, juridical, socio-economic, historic-philosophical and linguistic. First Year: Contemporary History, History of Interna-tional Relations, History of Political Doctrine, Principles of Political Economy, Public Law and Society, Religions and Human Rights. Second Year: Human Rights, International Demography, International Law, International Relations, Political Science. One course among the following: Human Rights and Inclusion, Private Law, Administrative Law, Comparative Constitutional Law, Philosophy of Law, History of the Modern and Contemporary Church and History of Relations Between Church and State. Third Year: Economic Development and Human Rights, International Protection of Human Rights, Political Systems of the European Union and Public Policy and Human Rights. The students’ preparation will be integrated by the teaching of at least two foreign languages (among which, English is compulsory) at an intermediate level and by an internship experience. 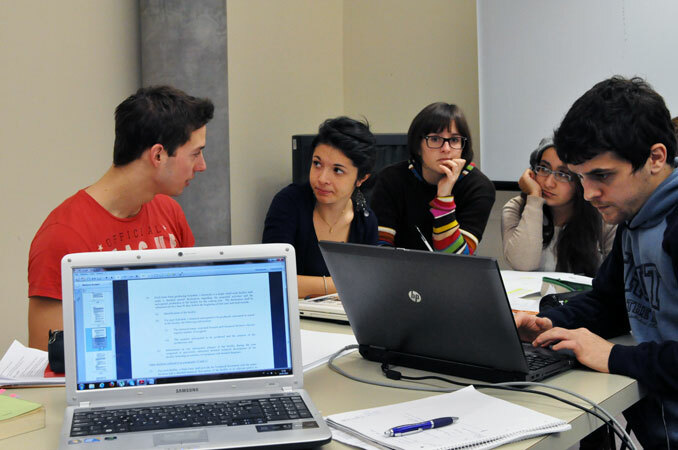 Each year, the educational activities are organised in two semesters. The degree course is organised by the Department of Political Science, Law and International Studies, part of the School of Economics and Political Science of the University of Padova, with the support of the University Human Rights Centre “Antonio Papisca”.